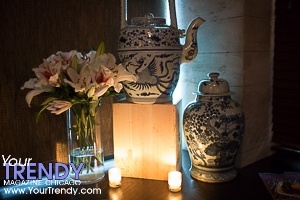 Imperial Lamian celebrated its one year anniversary in their River North location. 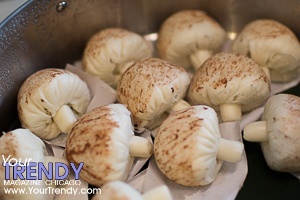 Guests enjoyed a glass of Rose Sauvage from Piper Heidsieck upon arrival as well as dim sum station of Mushroom Bao. The party featured Yang Chaofan with char siu, shrimp, asparagus and egg and Kung Pao Chicken with cashews, dried Thai chili and dark soy prepared by Executive Sous Chef Victor Chong. 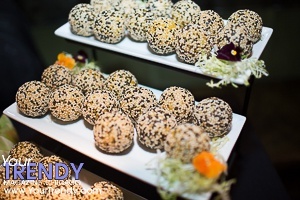 The dessert tower offered Chinese favorites like Salted Egg Bao, Golden Sesame Ball and Egg Tart. The libation included Piper Heidsieck’s Brut and Cuvée Sublime. The first United States concept by the Indonesia-based Imperial Group, Imperial Lamian opens eyes to the traditional Chinese Lamian noodle, with a variety of other indigenous Chinese cuisines, such as authentic wok dishes, dim sum, and xiao long bao. With a focus on freshly made food using only the best ingredients, dishes are prepared by three Master Chefs expertly trained in their individual crafts: Chef Kok Lam Andy Foo helms both traditional and inventive wok dishes, Chef Lim Kee Tiong specializes in beautiful dim sum and xiao long bao (soup dumplings), and Chef Wang Hongjun focuses on fresh, hand-pulled lamian noodles.